Copyright© 2017 Australian Wines Wholesale Centre. All Rights Reserved. 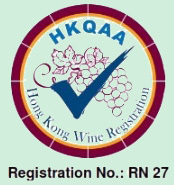 "Under the law of Hong Kong, intoxicating liquor must not be sold or supplied to a minor in the course of business."